It was in Munich that Vladimir Ilyich Ulyanov first went by the name 'Lenin,' in January 1901, in place of Tulin and Ilyin which he had used most frequently hitherto whilst living on the same street on which Hitler would later reside. From 1900 to 1902, Lenin lived in the trendy Schwabing district of Munich. It was during this period of his exile in February 1900 that Lenin sought to establish a newspaper fully independent from censorship which was impossible to do in Russia; it was for this reason that Lenin had left Russia on July 29, 1900 for over five years. 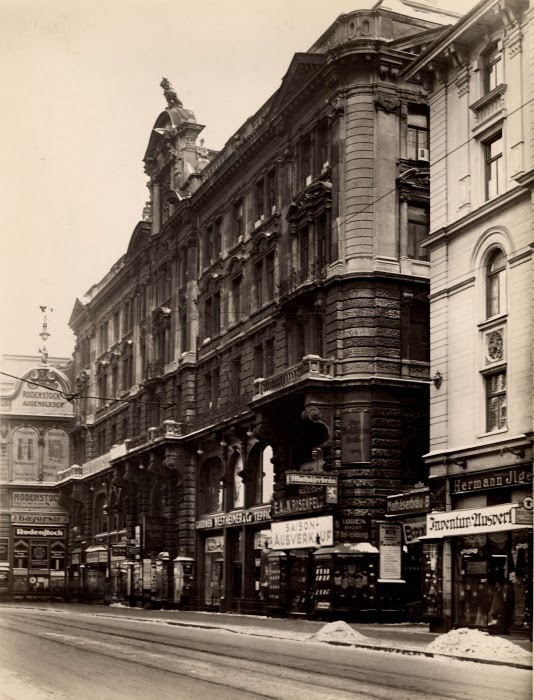 After a brief stay in Geneva where he met with Plekhanov who agreed on the publication of the newspaper Iskra, Lenin moved to Munich where he illegally resided under the name Meyer through the Social Democratic innkeeper Rittmeyer at Kaiserstrasse 53. He would eventually declare "Wer die Mariensäule in München hat, der hat Europa!“ - Whoever has the Mary's column in Munich has Europe! Here in the Bavarian State Library on Ludwigstraße, shown after the war and today he wrote his most famous work and arguably most influential work "What is to be Done?". Together with other Russian emigres such as the later leader of the Mensheviks Julius Martov and the former terrorist Vera Zasulich, Lenin founded Iskra (The Spark) as the first all-Russian socialist newspaper. During his free time Lenin and his wife Krupskaya enjoyed long walks through the English garden, which earned them the name "the party of walkers". According to Dr. Nikolaus Brauns in Rote Hilfe, Lenin was not adverse to a cold beer. Thus it was in Munich that Lenin created inter alia the ideological foundation for the Munich Soviet Republic and the State of Bavaria. 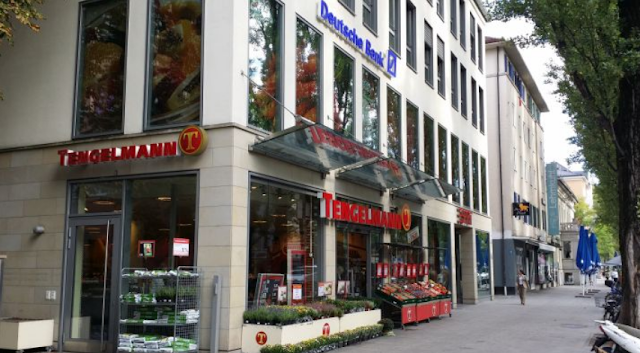 "Family-owned since 1872... Hitler is said to have often left without paying; Lenin never did! Worth seeing: the stone urinals in the cellar." Claimed to have been used by Lenin, Hitler and Franz Josef Strauss. 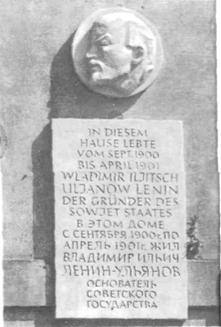 Lenin and his wife, Krupskaya lived here at Kaiserstrasse 14 under the name "Meyer" between 1900 and 1913. Below was a tavern, which became the meeting place of European Social Democrats. The plaque commemorating this key site in history was erected in 1970 on the occasion of Lenin's 100th birthday before being ripped down in 2006 and never replaced. It was from here that Lenin and fellow exiled Russian Marxists first published the journal Iskra ("the Spark") which was then smuggled into Russia. From this address where Lenin wrote his famous revolutionary book "What is to be Done?" in which he proposed that a wholly new type of party should be established. This proved highly divisive at the Party Congress in 1903, and brought about a split, with the Bolsheviks now effectively operating as a separate party even before the final break in 1912. The first use of the nom de guerre Lenin. We looked back on this Munich period afterwards as a bright memory. Our later years of life in emigration were a much more distressing experience. During the Munich days the rift in the personal relations between Vladimir Ilyich, Martov, Potresov and Zasulich had not been so deep. All energies had been concentrated upon a single object – the building up of an all-Russian newspaper. There had been an intensive rallying of forces around Iskra. All had had the feel of the organization's growth, a sense that the path for creating the Party had been rightly chosen. That explains the genuine spirit of jollification with which we had enjoyed the carnivals, the universal good humour that had prevailed during our trip to Zurich, and so on. Local life held no great attraction for us. We observed it merely as bystanders. We went to meetings sometimes, but on the whole they were of little interest. I remember the May Day celebrations. For the first time that year the German Social-Democrats had been permitted to organise a procession, on condition that the celebrations were held outside the town and no crowds collected within the town. Siegfriedstraße 14 in Schwabing on the second floor was Lenin's last address in Munich. 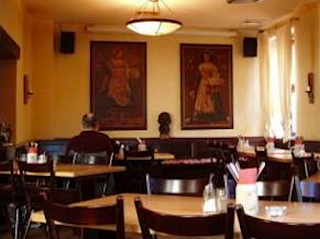 Currently a restaurant, Das Zimmer Esszimmer, at the far end of the dining room stands a bust of Lenin. 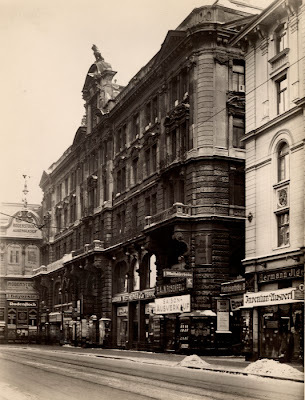 Noris cafe in which, according to Nadezhda Konstantinovna's memoirs, "... long conversations, the exchange of opinions between Plekhanov and Lenin about what topics for Iskra to choose from... " at Leopoldstrasse 41 is long gone, today now the site of a Tengelmann grocery shop (and Deutsche Bank!). 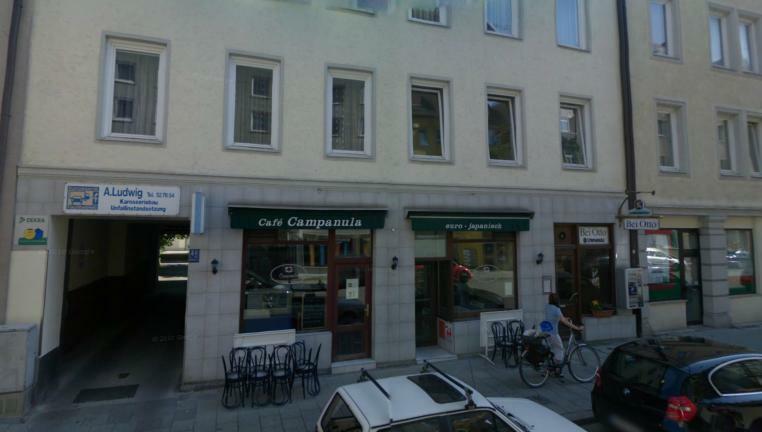 Gabelsbergerstraße 46 (then 20a), directly across from the Technical University of Munich, is where the mail Lenin received was addressed to Mr. Dr. Carl Lehmann. This had been Dr. Lehmann's house and office and he had been considered above suspicion, although the site served as an important source for top Russian conspirators. Lehmann himself had been a reformer and an idealist, dreaming of the liberation of the working class, having worked in Zurich, London, Hamburg and Munich in the production and dissemination of socialist literature. He was repeatedly in conflict with the police and judiciary, once he was in Freiburg in court, but was acquitted. Later he decided to take a civilian job and studied medicine in Strasbourg and Munich, where he received his doctorate. Lehmann's wife Hope had studied medicine, specializing in gynaecology. Their salon was the meeting place of the social democratic intellectuals in Munich; SPD party leader August Bebel stayed here whenever he was in Munich, and Mrs. Lehmann translated Bebel's book "The Woman and Socialism" into English. The Alte Pinakothek in Munich, one of the oldest galleries in the world shown before and after its 1952 - 1957 reconstruction by Hans Döllgast, recently had an exhibition in which Lenin was the showpiece. Kurt Eisner was Bavaria’s first postwar Prime Minister. Born to a middle-class Jewish family in Berlin, he studied philosophy and German literature, but forswore a doctorate for financial reasons. Turning to journalism, he worked in Berlin for the Frankfurter Zeitung and moved to Marburg in 1893 to become political editor for the Hessische Landeszeitung. His neo-Kantianism was bolstered in Marburg by attending Hermann Cohen’s lectures. A parody of the Kaiser, published in 1897, landed him a nine-month prison sentence. He soon joined the SPD and caught the attention of Wilhelm Liebknecht, who ensured his appointment as editor of Vorwärts. But Eisner was not a rigid Marxist; his resolve to link socialism and Kantian ethics provoked his dismissal. He relocated to Bavaria and wrote for various city newspapers, serving finally as editor for Munich’s Arbeiterfeuilletons. He was part of Munich’s bohemian set, and his literary knowledge distinguished him from his socialist colleagues. 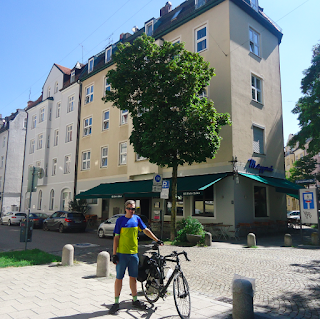 A friend remembered him as a bearded, stooped figure who captivated friends at a Schwabing locale, the Cafe Stephanie. The place where Kurt Eisner was assassinated. Eisner, whose "belligerent political style, impractical at the same time it was utopian, caused respectable citizens to desire nothing more than to see him jailed or killed" and "seemed to fit the stereotype of the unwashed radical, the sort of man a respectable German loved to hate," had organised the revolution that overthrew the monarchy in Bavaria and declared Bavaria to be a free state and republic on November 8, 1918. Due to the inability of the new government to provide basic services, Eisner's Independent Social Democrats were soundly defeated in the January 1919 election. It was whilst he was on his way to present his resignation to the Bavarian parliament that Anton Graf von Arco auf Valley shot him in the back on February 21, 1919, His assassination resulted in the establishment of the Bavarian Soviet Republic and parliament and government fleeing Munich. In Munich, power was seized in a spontaneous rush by a collection of idealists led by journalist Kurt Eisner. Eisner and his associates were able to prevail for a time because there was a nearly absolute vacuum in Bavaria at war’s end when King Ludwig fled his domain. But Eisner was no Lenin. No proletarian dictatorship was set in place. Instead, Eisner sponsored elections which took place in April and quickly threw him out of office. He was then assassinated. The killing of Eisner inspired his followers to try to retain power by force. This meant establishing the Soviet-style government they failed to create initially. The eventual “Red Republics” which grew out of this circumstance lasted only a brief period and were soon crushed by German army and Freikorps elements. The provisional government that was soon constituted under Eisner’s leadership was from the outset a highly unstable coalition, mainly composed of the radical but largely idealistic USPD and the ‘moderate’ SPD (which had not even wanted a revolution). Moreover, it stood no chance of mastering the daunting social and economic problems it faced. The assassination of Eisner by a young, aristocratic former officer, currently a student at Munich University, Graf Anton von Arco- Valley, on 21 February 1919, provided then the signal for a deterioration into chaos and near- anarchy. Members of the USPD and anarchists proclaimed a ‘Councils Republic’ in Bavaria. 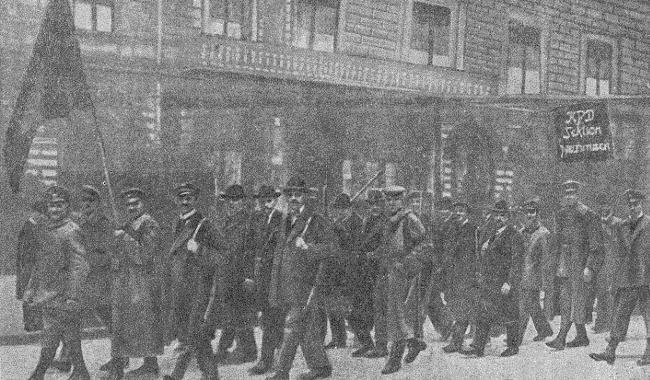 The initial failure of attempts at counter-revolution simply strengthened the resolve of the revolutionary hotheads and ushered in the last phase of the Bavarian revolution: the full Communist takeover in the second, or ‘real’ Räterepublik – an attempt to introduce a Soviet-style system in Bavaria. It lasted little more than a fortnight. 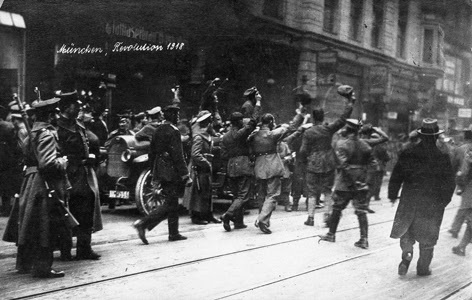 But it ended in violence, bloodshed, and deep recrimination, imposing a baleful legacy on the political climate of Bavaria.It would be hard to exaggerate the impact on political consciousness in Bavaria of the events between November 1918 and May 1919, and quite especially of the Räterepublik. At its very mildest, it was experienced in Munich itself as a time of curtailed freedom, severe food shortages, press censorship, general strike, sequestration of foodstuffs, coal, and items of clothing, and general disorder and chaos. But, of more lasting significance, it went down in popular memory as a ‘rule of horror’ imposed by foreign elements in the service of Soviet Communism. 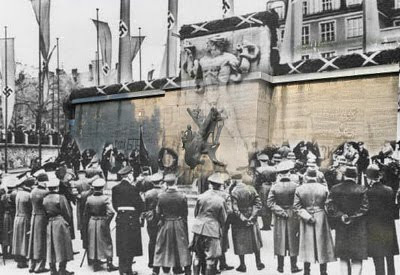 The image, constructed and massively shored up by rightist propaganda throughout the Reich as well as in Bavaria itself, was that of alien – Bolshevik and Jewish – forces taking over the state, threatening institutions, traditions, order, and property, presiding over chaos and mayhem, perpetrating terrible acts of violence, and causing anarchy of advantage only to Germany’s enemies. 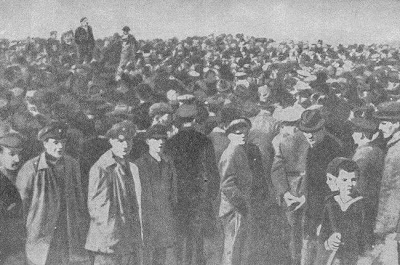 The real gainers from the disastrous weeks of the Räterepublik were the radical Right, which had been given the fuel to stoke the fear and hatred of Bolshevism among the Bavarian peasantry and middle classes. Not least, extreme counter-revolutionary violence had come to be accepted as a legitimate response to the perceived Bolshevik threat and now became a regular feature of the political scene. Its flirt with left-wing socialism over, Bavaria turned in the following years into a bastion of the conservative Right and a magnet for right-wing extremists throughout Germany. These were the conditions in which the ‘making of Adolf Hitler’ could take place. The history of the Bavarian revolution was almost tailor-made for Nazi propaganda. Not just the legend of the ‘stab-in-the-back’, but the notion of an international Jewish conspiracy could be made to sound plausible in the light of the Munich Räterepublik. Though right-wing extremism had no stronger traditions in Bavaria than elsewhere up to this point, the new climate provided it with unique opportunities and the favour of a sympathetic establishment. Many of Hitler’s early followers were deeply influenced by the experience of the turbulent months of post-revolutionary Bavaria. 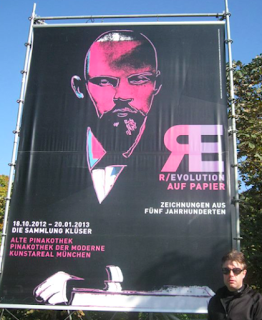 For Hitler himself, the significance of the period of revolution and Räterepublik in Munich can hardly be overrated. Just around the corner from the spot on Promemadeplatz is this crazed memorial to Michael Jackson. This new memorial to Eisner has been set up in Munich. The abstract glass cube by Munich artist Rotraud Fischer contains a black area painted on the glass to commemorate Eisner's assassination, whilst an Eisner quote has been engraved into the glass. Proponents of the new design deem the glass construction a modern interpretation of commemoration instead of outdated busts or sculptures. Critics, however, think the design has no distinct feature and ties in with the current "latte macchiato aesthetics". In their opinion, the cube could also be another item of random street furniture suiting the taste of the new nearby owners of luxury apartments. Also Eisner's quote: "Jedes Menschen Leben soll heilig sein" (The life of every human being should be sacred) may sound philanthropic in general, but is entirely taken out of its historical and political context. Nevertheless, the effort to establish a new memorial site has been made and perhaps a continuing dispute on the monument will keep Eisner's commemoration more alive than a sculpture that everybody could agree on. 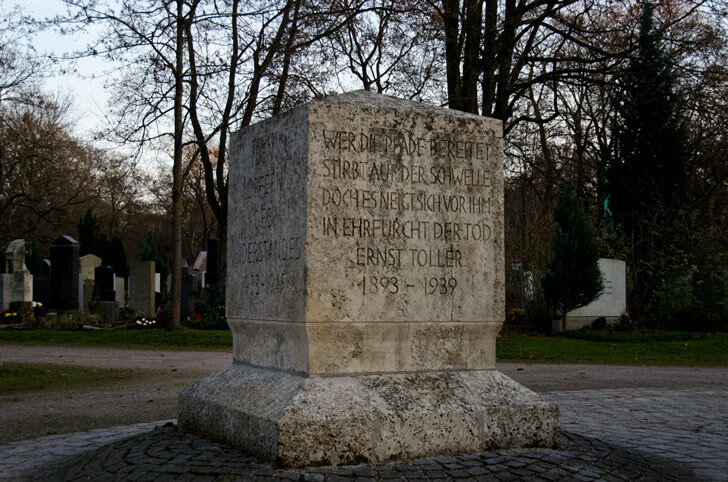 Dedication of the monument on May Day 1922 and today at the Neuer Israelitischer Friedhof. In March 1919 Hitler returned to barracks in Munich. The city was wracked by the most intense political turmoil. 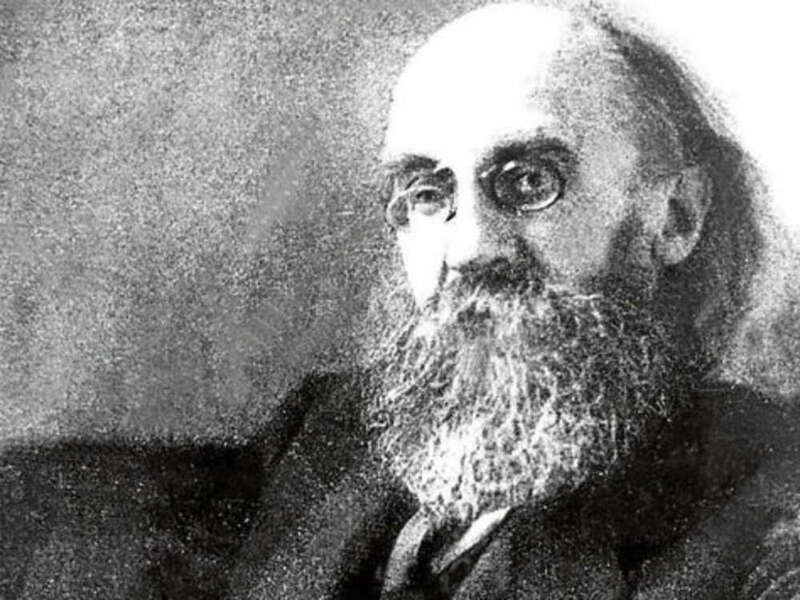 Bavaria’s Independent Socialist leader, Kurt Eisner, had been assassinated on the city’s streets only weeks before by Count Arco-Valley, a German nationalist from Austria. Thereafter the city descended into near civil war. 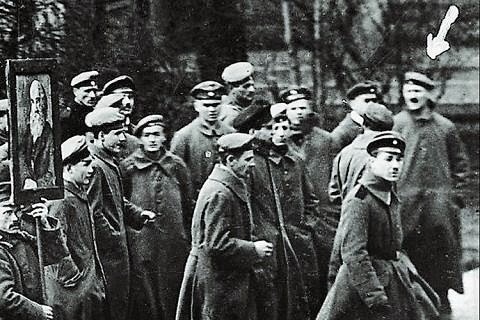 On 7 April 1919 Bavaria was declared a Soviet Republic and rumours began to spread that Communist troops were ready to march from Russia and Hungary to shore up Socialism there. 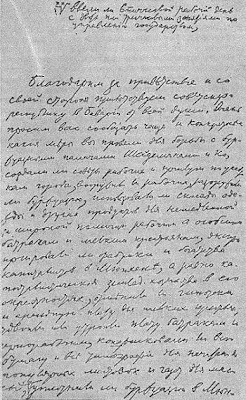 Lenin sent the Red revolutionaries telegrams of support. He urged them to consolidate their rule through terror. 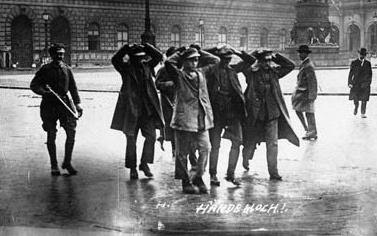 When bands of anti-Communist troops (made up of right-wing, nationalist veterans of the First World War, some with swastikas painted on their helmets) under Captain Ehrhardt approached the city, the ‘Reds’ executed a number of radical nationalist hostages held in the Luitpold Gymnasium. Munich was a political hothouse in which anything was possible. Hitler soon had the point illustrated to him personally. For the most part he was serving at a military camp near Traunstein, guarding Russian and French prisoners of war who were awaiting release. Alternatively, he received RM 3 per day counting gas masks at a military store. Despite such a low profile, Hitler came into conflict with Communism and to the attention of Red sympathisers. The following document is based on an interview with a man who had been friendly with Hitler in Munich. It shows that politics had become a matter of life and death that just could not be ignored. Housden (42-43) Hitler Study of a Revolutionary? The constitution of the Workers' and Soldiers' Council in the Mathäser-Bräu in November 1918 was the birth of the Bavarian Soviet Republic. In the reconstruction after the Second World War, in addition to the restaurant rooms, a cinema complex was built in the numerous premières took place. After the total demolition of the building complex was at the site on 21 May 2003 Mathäser multiplex cinema opened. 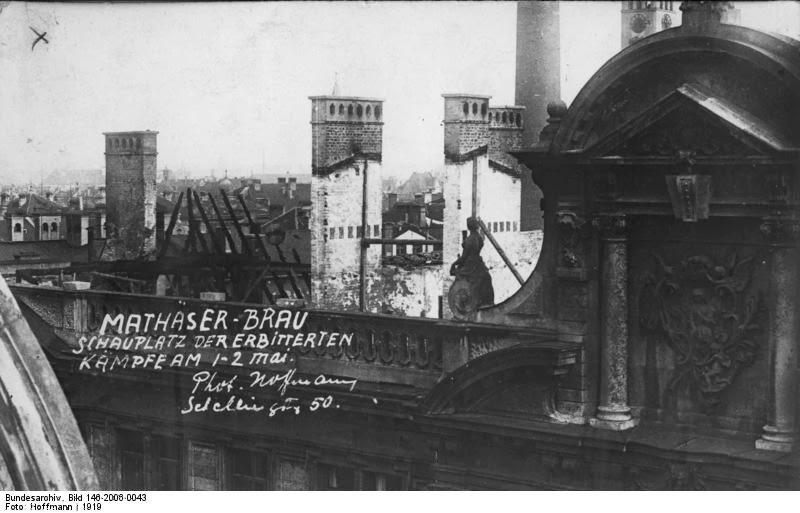 Soldiers in front of the Mathäserbräu celebrating the Revolution, and the aftermath of the May 1-2 counter-revolution on its roof. consisting of officers and soldiers, as well as students and civilians, driven by counterrevolutionary zeal, eager for adventure, or simply seeking the ‘‘companionship of the trenches’’ and regular meals. Numbering 200,000 to 400,000 men by the spring of 1919, the 103 major Freikorps units received little direct attention from the Reichsheer and were militarily and politically unreliable. During the first half of 1919 they were used to crush both real and imagined threats throughout Germany. 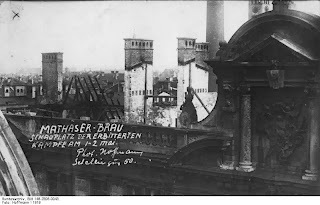 By May 2, 1919, the Freikorps and a coalition of Prussian and Bavarian troops, collectively known as the known as the Weisse Garde, had taken the City of Munich. It was not officially announced secure until May 6 after roughly 1,200 Communists had been killed. The White force had in it hardened desperadoes and they shot down without cause some twenty medical orderlies and eight surrendered Red soldiers. Most infamously, the Reds executed ten people by firing squad, including the Countess Westarp. This killing was the direct result of the White atrocities at Dachau which had caused Red soldiers to ask superiors if they could take revenge. Permission was granted and the victims were rounded up and brought to courtyard of the Luitpold gymnasium. In pairs, they were placed against a wall and shot. The news of this horrific event spread quickly and, by midday of 1 May, the killings had become public knowledge. There were protest meetings all over the city, and firefights erupted. The Whites had decided to move on 2 May. They now advanced the attack to May Day. It was held to be just and proper that they were moving into the capital on the traditional workers’ holiday. As the Whites took Munich, atrocities appeared seemingly everywhere. All White killings were said to be justified by the Luitpold executions. The Luitpold killings had also had a demoralizing impact on Red troops not involved but who had heard of them. They began throwing down their arms, as the Whites entered the city to encounter scant opposition. 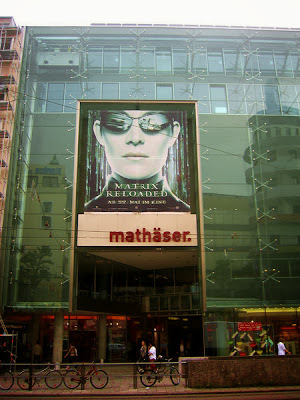 The Munich political scene, immediately after the demise of the Red Republics, was profoundly altered. The disappearance of the two republics resulted in an atmosphere changed lastingly... This was the heritage which carried over into the scene after the war. 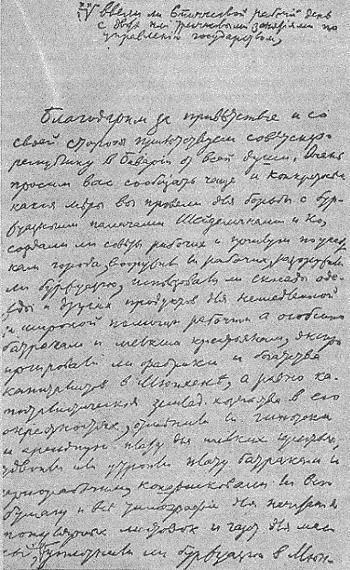 The proclamation of the 1st Soviet Republic in the Communist paper Rote Fahne April 7, 1919, and the demonstration that same day in Munich in support. Red Guards guarding a government building and marching through Munich at the end of April. 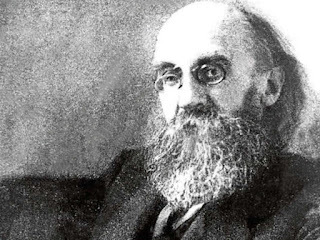 On the 7th November 1918, Bavaria was declared a free republic under a Social Democratic politician, Kurt Eisner; and after Eisner was assassinated by a right-wing nationalist in 1919, communists and anarchists took advantage of the resulting disorder to establish a Soviet republic in Bavaria. A certain Dr Franz Lipp was appointed to be Foreign Minister, an unhappy choice since the good doctor had twice undergone cures in a mental institution, with not entirely successful results. He sent a cable to Lenin complaining that the deposed President of Bavaria had fled from Munich taking the key to the ministerial toilets with him. And then he declared war on Switzerland, and indeed Württemberg too, because they were unwilling to restock the Bavarian railway system with locomotives . "My dear colleague", he wrote to a fellow-minister, "I have declared war on Württemberg and Switzerland because those dogs have not immediately handed over the 60 locomotives to me on loan. I have no doubt that we will be victorious. Furthermore I will seek the blessing of the Pope, who is a good friend of mine, for this victory." But the initial, relatively moderate, Soviet government of which he was a member collapsed within six days, as hardline Communists took over, and even the thought of a Bavarian invasion of Switzerland and Württemberg was forgotten. The communist government lasted until the beginning of May. I don't know what happened to Dr Lipp- maybe he went into exile in Switzerland. The Soviet Republic seems to have got off to a bad start because the first proclamation that the government issued was that all cafés should close at 6 o'clock, and one can just imagine what the jovial citizens of Munich would have thought of that. The chief commissar Ernst Toller (a 25-year-old playwright) was so mobbed when he walked along the street that he beat a tactical retreat and extended the opening hours to 9 o'clock. There was then a run on the banks, and the Red Army, deciding that their barracks were not good enough, installed themselves in the schools, and everything declined into ever greater chaos until proper Communists displaced these 'bourgeois amateurs'. The New York Times correspondent had this account of Dr Lipp: he is 'a man of 60 whose mind is so unstable that some years ago his friends endeavoured to cure him by consigning him for a time to a lunatic asylum. He edited a Stuttgart paper for a while, but being involved in a charge of libelling the Kaiser, he escaped to Switzerland and subsequently appeared in Italy, where, having made his peace with the old German regime, he acted as a spy and informer for it. Before Italy entered the war he was especially active in endeavouring to bring about sabotage in various places there.' According to another account, it was the Pope to whom he addressed his complaint about the missing lavatory keys, in a long, lewd and rambling telegram addressed to 'Comrade Pope, Peter's Cathedral, Rome', and he merely informed Lenin that the proletariat of Upper Bavaria was now happily united. During the Bavarian Soviet Republic in 1919, Levine was the organizer of the Workers and Soldiers Soviets. When the Bavarian Soviet Republic was crushed, Levine was captured and courtmartialed. The court-martial told him: "You are under sentence of death." Leviné answered: "We Communists are always under sentence of death." Leviné was undisturbed by the thought of starving babies. "What does it matter," he said, "if for a few weeks less milk reaches Munich? Most of it goes to the children of the bourgeoisie anyway. We are not interested in keeping them alive. No harm if they die - they'd only grow into enemies of the proletariat." We thank you for your message of greetings, and on our part whole heartedly greet the Soviet Republic of Bavaria. We ask you insistently to give us more frequent, definite information on the following. What measures have you taken to fight the bourgeois executioners, the Scheidernanns and Co.; have councils of workers and servants been formed in the different sections of the city; have the workers been armed; have the bourgeoisie been disarmed; has use been made of the stocks of clothing and other items for immediate and extensive aid to the workers, and especially to the farm labourers and small peasants; have the capitalist factories and wealth in Munich and the capitalist farms in its environs been confiscated; have mortgage and rent payments by small peasants been cancelled; have the wages of farm labourers and unskilled workers been doubled or trebled; have all paper stocks and all printing-presses been confiscated so as to enable popular leaflets and newspapers to be printed for the masses; has the six-hour working day with two or three-hour instruction in state administration been introduced; have the bourgeoisie in Munich been made to give up surplus housing so that workers may be immediately moved into comfortable flats; have you taken over all the banks; have you taken hostages from the ranks of the bourgeoisie; have you introduced higher rations for the workers than for the bourgeoisie; have all the workers been mobilised for defence and for ideological propaganda in the neighbouring villages? The most urgent and most extensive implementation of these and similar measures, coupled with the initiative of workers’, farm labourers’ and— acting apart from them— small peasants’ councils, should strengthen your position. An emergency tax must be levied on the bourgeoisie, and an actual improvement effected in the condition of the workers, farm labourers and small peasants at once and at all costs. 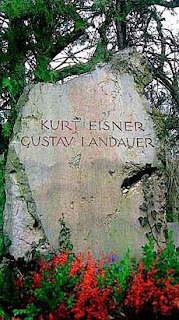 Munich’s political Left was divided with the assassination of Eisner. The heads of the ‘Majority Social Democratic Party of Germany’ (MSPD) were reformers rather than revolutionaries. The ‘Independent Social Democratic Party’ (USPD) which had broken with the Social Democrats in 1917 became a bastion for diverse protest movements. The ‘Communist Party of Germany’ (KPD) formed in January 1919 offered another radical alternative. There were also anarchist groups. The Left didn’t agree on whether a socialist order could be achieved within the framework of a parliamentary democracy and whether it required the creation of a council or soviet system. The USPD was eventually dismantled by those who wanted to use soviets to further revolutionary developments in society and the economy. The soviet republic established in Hungary in March 1919 provided encouragement, as did hopes for a communist uprising in Vienna. With the proclamation of the Munich soviet republic on April 7, 1919, the Hoffmann government moved to Bamberg, giving revolutionaries a free hand in the Bavarian capital. Among the early leaders of the movement were USPD politicians like Ernst Toller and anarchists such as the writers Gustav Landauer and Erich Muehsam. But the communists under Eugen Levine and Max Levien dismissed the new structure as a ‘soviet republic in appearance only’ on on April 13 seized power themselves. Under the command of the revolutionary naval soldier Rudolf Egelhofer, a Red Army consisting of 10,000 men was quickly assembled. Adherents of the soviet republic hoped that they would received help via a revolutionary axis between Munich, Vienna and Budapest. On May 1 and 2, German government troops and several freikorps units marched into Munich. Bitter street fighting ensued, particularly within the working l=class district of Giesing. The counter-revolutionary troops were extremely brutal. Revolutionary spokesmen such as Gistav Landauer were abused and murdered, as were innocent parties such as the 53 Russian POWs and 21 members of the Catholic journeymen’s Union. The official number of casualties was 519, including 335 civilians, bit other estimates suggest that there could have been more than a thousand people killed in toto. Munich spent months under martial law. The numerous arrests and trials that followed almost exclusively targeted followers of the soviet republic, of whom more than 1,700 were convicted of crimes. These events became anchored within the collective memory of the city in a way that would have dramatic consequences. The political Right dictated the historical record, reducing the legacy of the revolution to chaos, ‘foreign elements’ and atrocities. 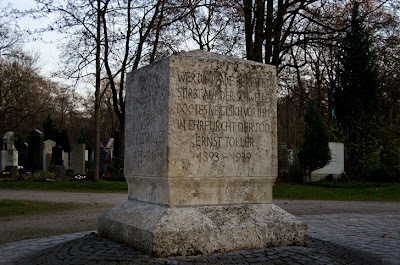 The so-called hostage murder in the Luitpoold Academy played a central role in this process when , on April 30, members of the Munich Red Army murdered ten prisoners. Although the next day saw this act of brutality denounced by workers’ and soldiers’ councils, right wing propaganda constantly used this atrocity to incite rage and revulsion against the revolution. Counter-revolutionary acts of violence were played down whilst right-wing propaganda legitimised terror as a necessary means for restoring order, creating a justification for political violence which Hitler would later use for himself. After the destruction of the Munich soviet republic, Munich was ruled by the military. Franz Xavier von Epp, leader of the Free Corps Epp, took a leading role and was later mythologised as Munich’s liberator. From 1920, Epp used army funds to support the NSDAP financially. In 1928 he joined the party and served as a Reichstag deputy until 1945. In 1933, he was named Reich Representative in Bavaria, a position of limited political power. As depicted in October, the 1928 Soviet silent historical film by Sergei Eisenstein and Grigori Aleksandrov. It is a celebratory dramatisation of the 1917 October Revolution commissioned for the tenth anniversary of the event. Originally released as October in the Soviet Union, the film was re-edited and released internationally as Ten Days That Shook The World after John Reed's popular book on the revolution. Following the standard Soviet version from Nicholas and Alexandra, a 1971 biographical film which partly tells the story of the last ruling Russian monarch, Tsar Nicholas II of Russia, and his wife, Tsarina Alexandra. The film was adapted by James Goldman from the book by Robert K. Massie. From episode 12 ("The Secret War") of the 13-part British television drama Fall of Eagles aired by the BBC in 1974. Lenin (Patrick Stewart) and his comrades are stuck in Switzerland but find Germany an unexpected ally in ending their exile with the help of Dr Helphand. From the beginning of Stalin (1992), a television film produced for HBO starring Robert Duvall portraying Soviet leader Joseph Stalin. The film astonishingly won three Golden Globe Awards including best actor for Duvall. From episode 8 (Revolutions) of the 10-part 2003 Channel 4 TV series The First World War based on the book of the same name by Oxford Professor Hew Strachan. From the two-part documentary Russian Revolution in Colour, originally broadcast on Channel 5 in 2005, featuring professors Steve Smith (University of Essex) and Chris Read (University of Warwick).